We can buy your house for CASH, NO inspections, NO appraisals! The usual choices are free listings on classifieds, hiring a realtor, putting up a For Sale sign on your property and referrals or word of mouth. Would you take any of these conventional routes and wait for months before you can sell your home or would you like to sell your house in seven days? If you choose the latter, then you should sell your house directly to Dependable Homebuyers. We buy houses in Pennsylvania, any type of property and anywhere in the state. Any homeowner who has sold a property anywhere in the state of Pennsylvania is aware of the challenges. Even if you have never sold a house before, you may be able to anticipate some of the overwhelming odds stacked up against you. Many property owners grow frustrated over the months and eventually reduce their asking price drastically to facilitate a sale. Many property owners are compelled to invest thousands of dollars on renovations or remodeling, additions or upgrades of amenities and a myriad of repairs and aesthetic enhancement to make their houses more desirable to homebuyers. Realtors are of assistance in some ways but they too can complicate matters. They will always have multiple houses to sell and the interests of homebuyers to address. All homebuyers have their own long list of preferences that your property may not satisfy completely. When you factor in so many variables and subjective factors, you will easily conclude that selling a property is no cakewalk. The only way you can sell your house quickly and without any of these hassles is if you deal directly with Dependable Homebuyers, for we buy houses in Pennsylvania. 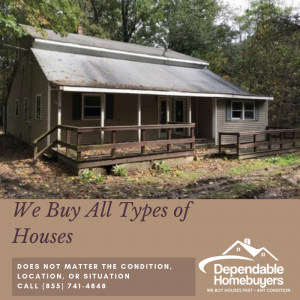 At Dependable Homebuyers, we buy houses in Pennsylvania. We are not realtors, agents or brokers. We do not represent third parties, be it homebuyers or investors. We do not have to find interested homebuyers. We are the buyers and not just ordinary homebuyers who would only purchase one house and will want it to be their dream home. 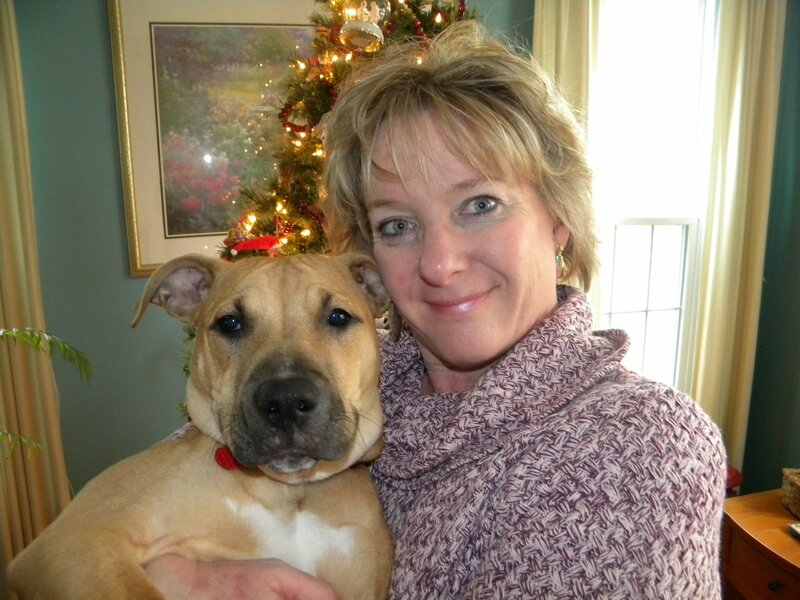 We are professional homebuyers and we buy houses in Pennsylvania as a part of our business. We do not buy one house at a time. We buy multiple properties simultaneously. We buy houses outright. We do not list your property on websites, you do not have to deal with classifieds and there is no need put up a For Sale sign. All you need to do is give us a call and one of our representatives will visit your home at a scheduled convenient time. We will follow this up with an offer. You can accept our offer or you can choose to sell your home to anyone through any medium. Dependable Homebuyers has a nationwide presence. We buy houses in Pennsylvania, Virginia, Florida, Tennessee and Kentucky among other states. We are not representatives of any bank or mortgage company. We buy houses in Pennsylvania directly from homeowners. There is no network of real estate agents. There are no third parties representing us. We do not have associates or channel partners. We have in-house staffs working on every acquisition around the country. We are direct buyers and you can sell your home directly to Dependable Homebuyers. We can buy you PA house. Contact us Today! There are many benefits for you as a property owner when you sell your house directly to Dependable Homebuyers. The whole process is simple. There is no need to deal with numerous people since you would have a single point of contact. You do not need to be routed and rerouted through different agencies. You won’t even have to deal with regulatory authorities or any legal and financial formalities. Deal with Dependable Homebuyers directly right from the start and you will have the most rewarding experience selling your house. You would never be able to get a solid offer from any homebuyer or through any realtor anywhere in the state within twenty four hours. That is precisely what you can expect from us. 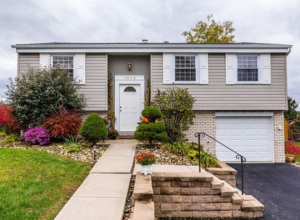 When we buy houses in Pennsylvania, we move quickly and we do not linger on any part of the process that simply leads to waste of time and resources. If you hire a realtor, you would have to wait a few days just to get everything rolling. Listing your property for sale, online and offline, may be possible in a day but it does not generate any traction within twenty four hours. A week is a very short span of time in the real estate sector. A month is deemed standard and most homeowners have to wait for several months before they get some good offers. Delays are usual and they are unavoidable, whether you try to sell your house without the help of a realtor or if you hire a real estate agent. 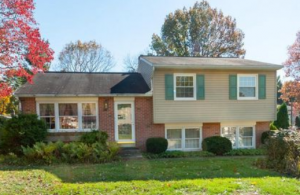 We buy houses in Pennsylvania and we jump-start the process with an offer in twenty four hours. One of our representatives will schedule an appointment with you on the phone and visit your home. A back end research team will start working on all the relevant details and facts while our representative will submit his assessment. We will learn everything important about your property, including building code approvals, registration and ownership details, taxes and other particulars before making you an offer. All of this is done at a blazing speed and you will have an offer from us in twenty four hours. We buy houses in Pennsylvania within seven days. If you accept our offer, we shall take seven business days to complete all formality and the financial transaction. In most cases, we take fewer than seven business days. The only times when we take more than seven business days is if there is something amiss. The registration and ownership details may be hard to vet or there may be a lien on the property. If there is nothing amiss and every relevant document is in order, then the sale can be expedited and you would have the funds in your account in a week. While we buy houses in Pennsylvania in a week, you are in no way obligated to decide immediately after receiving our offer. You have absolute liberty to take your time and you are not liable to pay us anything for the offer or for the delay. There are no service fees here and you do not owe us any commissions for the sale. We buy houses in Pennsylvania and you get a fair value for your property without spending anything. You would not even have to take care of the legal formality and other clerical stuff. We almost eliminate red tape, futile appraisals and other processes that unnecessarily delay the execution of the sale. We purchase properties outright and the only paperwork you need to deal with is the sale agreement. You can decide immediately if you want but you can take several days or a few weeks to decide. We would still execute the sale and complete the purchase in seven days from the date you accept our offer. It is near impossible to sell a property in seven days, unless you are dealing with Dependable Homebuyers. No homebuyer is in a position to buy a property overnight and no realtor will be able to facilitate such a quick sale. They are not in a position to expedite a sale unless they buy it for themselves. Even then the processes will take weeks. A few weeks are a minimum you need to wait and you might have to invest a few months and a lot of effort to sell your home. 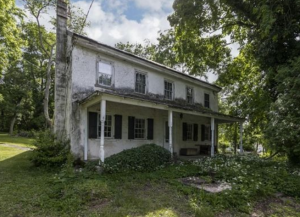 There are reasons why we can buy houses in Pennsylvania in seven days. Since we are not a realtor, broker or agent, we are not dependent on homebuyers to decide if they wish to purchase a property. Realtors are facilitators. They may influence or try to do so but they cannot be the decisive factor. Ordinary homebuyers are also not completely independent when they make a choice. They will have their own preferences dictating terms. There will be influencing factors, from location to the asking price of the house, the onsite amenities to the condition of the property. Market dynamics will be at play, in case of realtors and homebuyers as well as for investors, should you wish to sell your house to the latter. Then there are banks and mortgage companies. Most homebuyers will require a mortgage or home loan and unless their banks or mortgage companies approve and disburse the loan amount, you would not be able to execute the sale. The homebuyers would be able to do little if things don’t go as planned for them. Dependable Homebuyers does not depend on any such third party or external factor that is beyond our control to facilitate a purchase. We have sufficient capital to fund the purchase. We actually purchase more than one property at any given point in time. We are not confined to only one house or one acquisition on any day or week. The availability of capital enables us to make decisive strides forward and this is why we can close the deal and complete the transaction in seven days. The other factor that enables such a swift sale is our lack of stringent preferences. We are not fixated on location or any of the many factors that average homebuyers are concerned about. No matter what type of house you have and the kind of state it is in right now, you will have an offer. There is no need for you to renovate or upgrade the property in any way. Such works are an undesirable expense for most property owners. These projects also delay the sale. Our expedited purchase is possible because we are not in the pursuit of the finest property in the state of Pennsylvania. You will have to pay a commission to a realtor. It is not always the commission on the sale. that drives up expense, there may be other services including marketing or advertising that you would need to cover. Many realtors will charge you some money regardless of whether or not they succeed at selling your property. If you choose to deal with ordinary homebuyers directly, that too could lead you towards avoidable expenses. The expenses would actually be unavoidable as interested homebuyers may flag some issues and you will have to address them. Such expenses are completely avoidable if you deal with us directly. We buy houses in Pennsylvania without any changes. We do not have any fees or commissions and you do not have to pay for property inspections, advertising or marketing, appraisals and any other service that a realtor will promise you. There is no reason why you should pay realtors or invest in changes when you can directly sell your house to Dependable Homebuyers. We can discuss everything you need to know and one of our representatives will visit your home so that we can learn everything we need to know. We will make an offer within twenty four hours. Do you have a home you wish to sell? We buy houses in Pennsylvania and are interested in making you an offer. We have been revolutionizing the way homeowners sell their houses across states and it is time you explore an option that is a complete win-win for you! There is no other way that assures as much certainty, definitiveness and steadfastness as selling your house directly to Dependable Homebuyers.